Media outreach aimed to increase parent and educator awareness. MilliporeSigma is the U.S. and Canadian name of the Life Science business of Merck KGaA, Darmstadt, Germany. The company fits the profile of those that will suffer as the available pool of qualified science graduates continues to shrink. 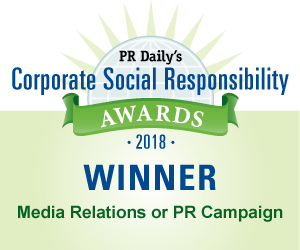 Its efforts to change that have earned MillporeSigma first place in the “Media Relations or PR Campaign” category of PR Daily’s 2018 Corporate Social Responsibility Awards. At the heart of the company’s CSR strategy is the Curiosity Labs program, where employees deliver hands-on science lessons to students at schools worldwide. The company recently expanded the program by introducing the Curiosity Cube, a shipping container that has been retrofitted as a mobile science lab, engaging visitors in interactive, hands-on experiments designed to spark student interest in science. Throughout 2017, the lab visited schools and public events in 85 communities around the United States, all of which were homes to MillporeSigma facilities. 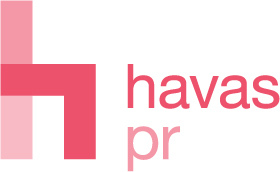 To generate interest in the Curiosity Cube experience, the company engaged Havas PR, which set a series of lofty objectives, achieved by reaching influencers and key opinion leaders, reaching out to the range of local news outlets, connecting with local partners and amplifying earned coverage through a dedicated news distribution platform. The effort produced 191 placements and 1.6 billion impressions. Congratulations to Linda Descano, Melissa Rieger, Breanna Stephens, Catherine Clements, Jeffrey Whitford, Daniel Sherling, Kaely Zeiser and Rebecca Dowd. View More Corporate Social Responsibility Awards 2018 Winners.